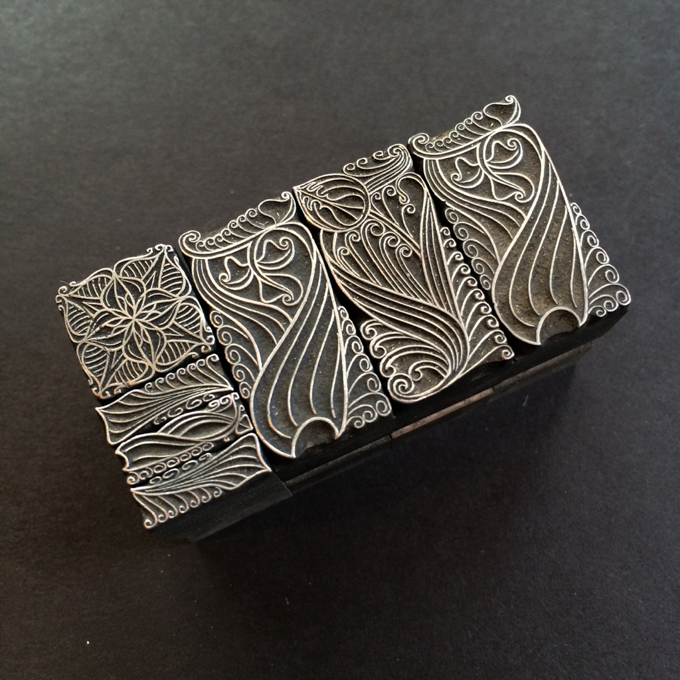 Type is a physical object in the world of letterpress printing. 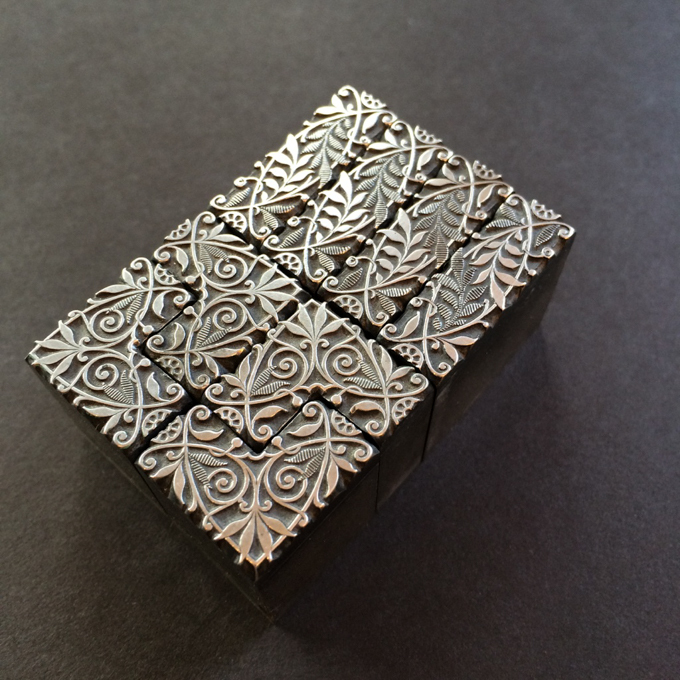 Cast in metal or made from wood, when printed with ink its impression shows up on the printed page. 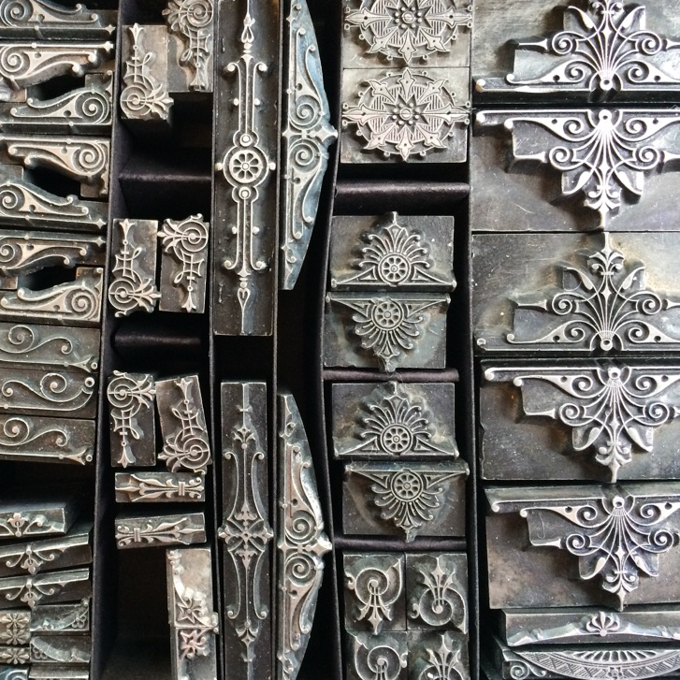 While there are a few makers of letterpress type today, much of the type printers use is old– from decades to, in some cases, over 100 years old. Here at Pinwheel Press we wish type could talk and tell us the stories of where it has been and what it has printed. In lieu of that we like to know where it came from and who made it. 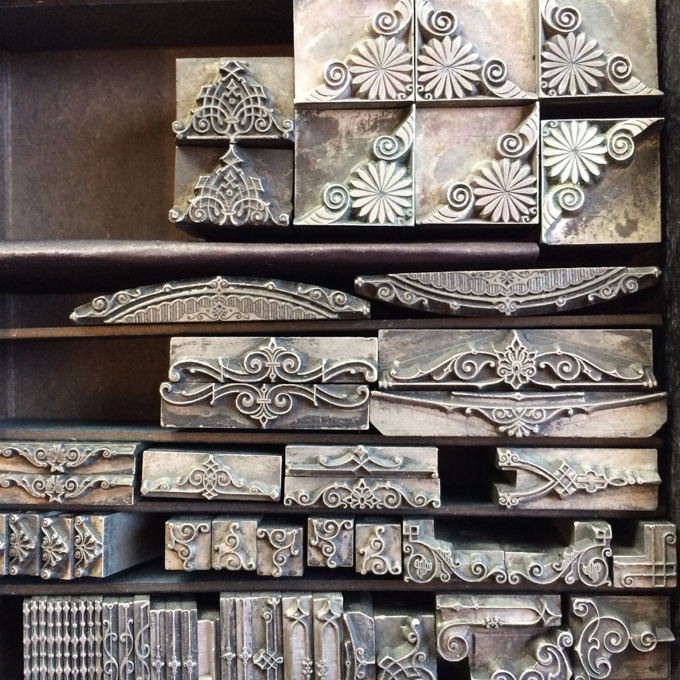 Here is a sampling of some of the antique ornamental metal type in Pinwheel Press’ collection. Oh the stories it would tell, if it could!